To The Moon and ﻿Theatre Bench﻿ are proud to present the world premiere of Claustrophobia, a brand new play by Desmond Elliott Prize longlisted author, Jason Hewitt. 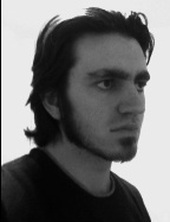 Associate Producer Epsilon Productions. 'A woman. A man. Trapped. Written by Jason Hewitt (novelist – The Dynamite Room, Devastation Road). Directed by Sharon Burrell with Movement Direction by Shelby Williams. Designed by Tom Burgess. A To The Moon production in association with Theatre Bench (Carthage, Therese Raquin, These Trees Are Made of Blood). Click ﻿here ﻿to see audience reactions to the rehearsed reading. Click here to see how cast members Natasha Pring and Michael Cusick were feeling during Week 1 of rehearsals. First performed at COGArts and the St James Theatre in London before Edinburgh Fringe Festival, August 2014. Jason was born in Oxford and lives in London. He completed his MA in Creative Writing in 2005. Jason is a successful and critically acclaimed novelist. His debut novel, The Dynamite Room, was published in 2014, and has since been long-listed for the Desmond Elliott Prize for New Fiction and the Authors’ Club Best First Novel Award, as well as publishing in the US and Canada, and with a French translation out in September. His second novel, Devastation Road, was published by Scribner/Simon & Schuster in July 2015. For theatre, he co-wrote a short play called One Last Thing, and wrote the text for the immersive theatre experience, Episodic (A Little Bird Whispered productions), performed at The Courtyard Theatre, London. After a successful run at the Edinburgh Festival Fringe 2014, his first full-length play, Claustrophobia, transfers to The Hope Theatre in London in November. 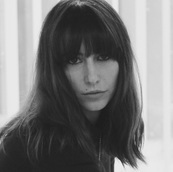 Sharon trained as a theatre director at CityLit under the tutorage of award winning playwright and director Simon Bowen. Last year she was selected for Springboard, a training programme run by the Young Vic's Directors Network. Participating directors included Natalie Abrahami, Ramin Gray, Mike Longhurst, Ian Rickson, John Tiffany, Lyndsey Turner and Theatre O. Other practical experience includes workshopping with Frantic Assembly and observing Max Stafford-Clark in rehearsal for 'Our Country's Good'. She has recently expanded her practice to experiment in digital installation, collaborating with You Are Already Dead at Camden People's Theatre. 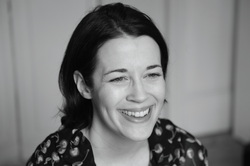 Sharon's directing work includes 'Claustrophobia' by Jason Hewitt at the Edinburgh Fringe Festival (read her interview with The Stage here); 'The Helen Project' (WOW Festival, Southbank Centre); 'The Merchant of Venice' (Goodmann Productions, Courtyard Theatre) which received praise for featuring a female Shylock. She has also directed several shorts for playwrights including Judy Upton, Ed Connole, Tom Jensen and Paul Vates at venues including Park Theatre (Park 200), The Drayton Theatre, and Hen & Chickens. 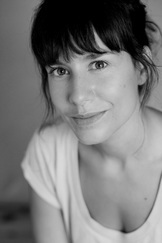 She has also assistant directed on 'A Christmas Carol' and 'The Last Days of Judas Iscariot' at the John Lyon Theatre. She was one of the devisers of To The Moon's first production 'Silent Shakespeare' as well as producer. As a freelance arts technician, Tom has worked in nearly every theatrical department and is often called upon to create the unusual or impossible. He trained at City Lit as a stage manager, designer and technician. He has since operated on shows including 'Personals: The Musical' (The Bridewell) and 'The Night Before Christmas' (The Ambassadors) and stage managed productions such as 'The London 50-Hour Improvathon' (Hoxton Hall) and 'The Terror Season' (Southwark Playhouse), where he was also Lighting Designer for the premiere of Neil LaBute’s controversial new play 'The Unimaginable'. As an art director, he has worked for BBC Comedy Online and on feature films including award-winning director Steve Balderson’s 'Culture Shock' (Dikenga Films). His special-effects credits include 'Terror: Love Me to Death' (Soho Theatre), 'Real Horror Show' (Leicester Square Theatre) and British horror film 'The Zombie King' (Northern Girl Productions). Tom directed, designed and curated immersive B-Movie experience 'The Midnight Movie Theatre', seen in Edinburgh and Leicester Square. Shelby trained at London Studio Centre and The Royal Winnipeg Ballet School. She is currently Resident Director on Bend It Like Beckham in London's West End. Dance performance experience includes: Ballet Work 1020 For Martin Creed: For Matthew Bournes’ New Adventures: Swan Lake, Original Cast Edward Scissorhands, The Car-Man, Highland Fling and Nutcracker! Film Credits include: WWZ Directed by Marc Forster: Great Expectations Directed by Mike Newell, Choreographed by Fran Jaynes: One Day Directed by Lone Scherfig, Choreographed by Fran Jaynes: Short Order Choreographed by Nanette Kincaid. For New Adventures/AMP, The Car-Man and Nutcracker. Opera credits include:Assistant Choreographer to Aletta Collins for Magical Night at The Royal Opera House Covent Garden: Carmen for the Salzburg Osterfestspiele and Summer Festival, La Voix Humane and Dido and Aeneas, Opera North, All Directed and Choreographed by Aletta Collins: Lucrezia Borgia at ENO, Directed by Mike Figgis: Assistant Choreographer and Dancer, Turandot at ENO Directed by Rupert Goold, Choreographed by Aletta Collins: Assistant Choreographer, Midsummer Night’s Dream at Opera La Scala Milan and Opera de Lyon, Directed by Robert Carsen, Choreographed by Matthew Bourne. Other Credits include: Assistant Choreographer and Dancer Foxes Music Video “Holding Onto Heaven” Choreographed by Aletta Collins: Assistant Choreographer for The Theory of Everything- Working Title Films, Directed by James Marsh, Movement Direction by Alex Reynolds: Movement Director for the play Bird of Pray at The Courtyard Theatre, London: Dancer and Assistant Choreographer to Alex Reynolds Hazik and The Giggles music video: Movement Director for Situation Room, Directed by James Blakeley and Tom Mansfield, Shoreditch Town Hall. Michael trained at the Royal Welsh College of Music and Drama. Theatre credits include Against Captain’s Orders (Punchdrunk Enrichment), Early Days of a Better Nation (Coney), The Love Project (Everyday Productions) which was a recipient of the IdeasTap Underbelly Award 2013, The Good Neighbour (BAC), Above and Beyond (Look Left Look Right), Out of Love (Undeb Theatre), and whilst training, Spring Awakening and The Cherry Orchard (RWCMD). 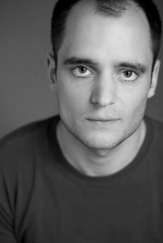 Michael is an Old Vic New Voices 24 Hour Play alumni. 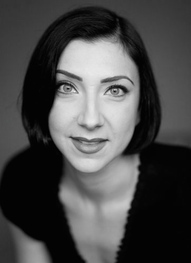 Natasha trained at Drama Centre London. Theatre credits include The Love Project (The Under Belly Edinburgh, followed by UK tour after winning the Ideas Tap Underbelly award) Rae in The Dug Out (The Tobacco Factory); Cressida in You Once Said Yes (The Roundhouse); Betty Foley in Under Milk Wood (Tobacco Factory and UK tour); Rachel in The Rubenstein Kiss (Soho Theatre); Hermione in The Winter’s Tale and Juliet in Romeo and Juliet (Red Rose Chain); Desdemona in Othello (Epsilon Productions); Jessica in The Merchant of Venice (Creation Theatre Company) and Hermia in A Midsummer Nights Dream (Tour of India). Screen work includes: The Way of the Monkey’s Claw (Marc Price) and The Great Sperm Race (Channel 4).